There are many reasons why you would be obliged to store or move around your beautiful oriental rugs but it would be a mistake to lift them from the floor before you make first the necessary arrangements and preparations for their storage or without cleaning them. In reality, you must start with carpet cleaning and take a closer look to see whether there are other problems concerning their piles or to check for moisture. Then you will need to bag them. 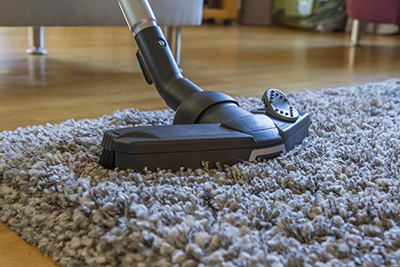 Dirty rug cleaning is essential before you store any size carpet for the summer or bag it before you move to a new house. The first thing you should do is remove all furniture, so that all signs would disappear and give you the chance to clean it easier. It is obvious that you will vacuum the rug first but you can also follow the advices of older housewives and bring to life some old recipes: turn the rug ups and down and step on it with force. You can dance or jump in order to force all dust out from among the piles. You will probably find a dirty floor when you turn it back over. Then you can vacuum it. Use a brush and a mixture of water and some white vinegar for stain removal. Vinegar is an excellent natural product that will also do miracles with the colors of the rug and odor removal. If you detect the slightest water damage, you should dry the spot completely and clean it properly. If it is not dried right and be stored, it will develop mold. * Some countries in the Mediterranean place newspapers on the rugs before they wrap them because ink has the property to absorb moisture. Some people prefer lavender and special moth repellants with a nice smell to keep them intact. * You should wrap it if it's soft or roll it if it's hard and place it in plastic bags but make sure to open small holes on the plastic bag to let the rug breath. It would be better to store it in cotton sheets, which are natural and can keep them healthier.